A demo account makes it very easy to try out binary options trading without risking any real money. They not only allow you to get to grips with how binary options work but also provide the opportunity for you to test out your trading methods and strategies. Whilst binary options demo accounts are a great way to develop your trading skills, actually finding one that offers a completely free demo service can often be a challenge. A great broker with a free and unlimited demo account is Nadex. There you can signup and start trading with a virtual trading platform after asking live support to open one for you. It’s also the only fully regulated US broker and thus a broker where you wont experience any issues and can fully focus on your trading. Click here to start trading for free! Demo accounts allow traders to purchase binary options using virtual money whilst still maintaining the regular features of a real trading account. This means that binary options can be purchased in exactly the same way as they would be in the real market and the prices that you see reflect the real, live trading prices. This makes demo trading different to a simple simulation of the markets and explains why they are so popular, even with experienced investors who use them as valuable strategy-testing tools. Trading via a demo account is a completely free service and you will never part with, or unfortunately gain, any money through trading on a demo platform. Essentially, demo accounts are made for new traders or for those that want to enjoy the excitement of trading but without risking any capital. There are also those who are experienced traders and maintain a demo trading account in order to develop and forward-test their current strategies before using them in the real markets. For novice traders, the trading practice that demo accounts offer is also a very valuable and beneficial way of learning to trade. Purchasing binary options on a demo account is entirely risk free, although some argue that knowing this makes traders change their trading style when compared to how they would act when risking real money in the markets. Although it is likely that a trader will not be so relaxed about losing a large amount of trading capital in the real markets, the use of demo accounts are still the closest thing that traders have to zero-risk trading. Although the finacial risks do not exist, demo trading provides a good indication to any trader of whether they are likely to be profitable should they choose to trade binary options for real. One way that demo trading is promoted by brokers is as a way for new traders to familiarise themselves with the different trading platform. Binary options trading platforms often differ slightly and many provide different features or specialise in a specific type of binary option. Uisng the demo therefore not only prevents any problems whilst trading live but it also allows traders to test their skills on the range of different features provided by different binary options brokers. Why is it so hard to find brokers with demo accounts? Binary options brokers differ from forex or CFD brokers in that it can be much harder to find an unlimited or free demo account to trade. The competition between forex brokers is so high that they nearly all offer unrestricted access to their demo trading platform to all traders. Whilst binary options trading is growing more and more popular it is important to know why finding a demo account may be difficult compared to the more traditional trading brokers. The main problem is that there are just a few platforms that are being used by lots of brokers. For example there are 3 large platforms with dozens of brokers each – this is a huge proportion of the market. If these three platforms don’t allow paper trading it’s hard to change that as a broker and offer such an account. Currently there are just a few binary options demo accounts for novice traders but, as the market expands and more brokers try to be more competitive to win your loyalty, this will undoubtably increase. Another reason is that brokers are like any company that wants to make money. Demo traders do not provide them with any revenue but they still have to provide them with an expensively-designed platform, access to live prices and execution of their virtual orders. Whilst a computer does most of this work, it is still maintained at a cost by the broker. This is why many binary options brokers who do offer a free demo account will only do this once an initial deposit has been made. It is not difficult to imagine that almost all traders will not be able to resist the temptation to move, after a bit of successful practice, from their demo account to the real account if they have already deposited in to this. Of course, binary options brokers are businesses and, just as traders want to make money through their platforms, so do they. Demo account after a deposit: This is the most popular demo account in binary options trading. 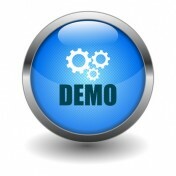 You have to make a deposit before you get access to a demo account. Of course, you can withdraw your money again but with this step you show the broker that you’re able and willing to spend money and trade using real money in the future. Demo account with a time restriction: This demo account can mostly be found at Forex and CFD brokers but it’s also common at binary options brokers. With this account you get full access to a trading simulation but you can only use it for anywhere between just a few hours to several days. This provides a taster to traders who can briefly see if binary options suit their trading style.